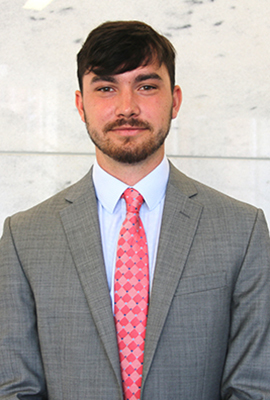 Christian Lee joined Georgia Law in 2018 and serves as the global practice preparation assistant at the school’s Dean Rusk International Law Center. His primary duties include providing administrative assistance for all initiatives within the Global Practice Preparation portfolio, including Global Externships, summer study at the University of Leuven in Belgium, and events planning and implementation. He also supports the center as a whole. Lee graduated from the University of Georgia in 2017 with a B.A. in international affairs from the School of Public and International Affairs. Before joining the Center, Lee interned in the compliance division at Marbury, a corporate services provider firm, in Hong Kong. He also worked on strategic trade issues and export control as an intern first with the University’s Center for International Trade and Security, and later as an intern at Trade Secure, a consulting firm. He served as a research assistant on a project related to worker rights around the world, and was a student entrepreneur in the University’s “The Give.Back.Hack” initiative, during which he developed a new fundraising system for Relay for Life. Lee speaks basic Mandarin Chinese.